Oh I am so ready to start decorating the house for the holidays! How fun to start off with a fun freebie for your Kids. 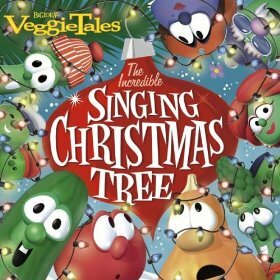 Amazon is currently offering the VeggieTales Incredible Singing Christmas Tree 16 track Album FREE for MP3 Download. You never know how long free downloads will last, so grab it while you can! !